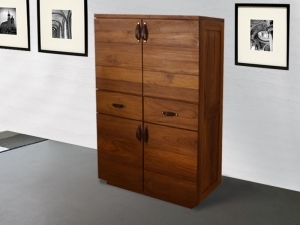 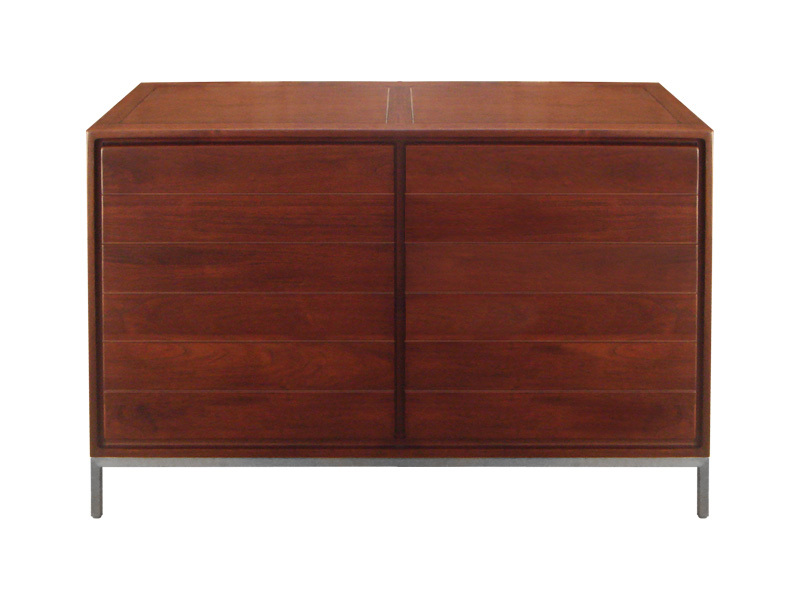 Clean - lined, low profile design that showcases the wood's rich grain and warm color. 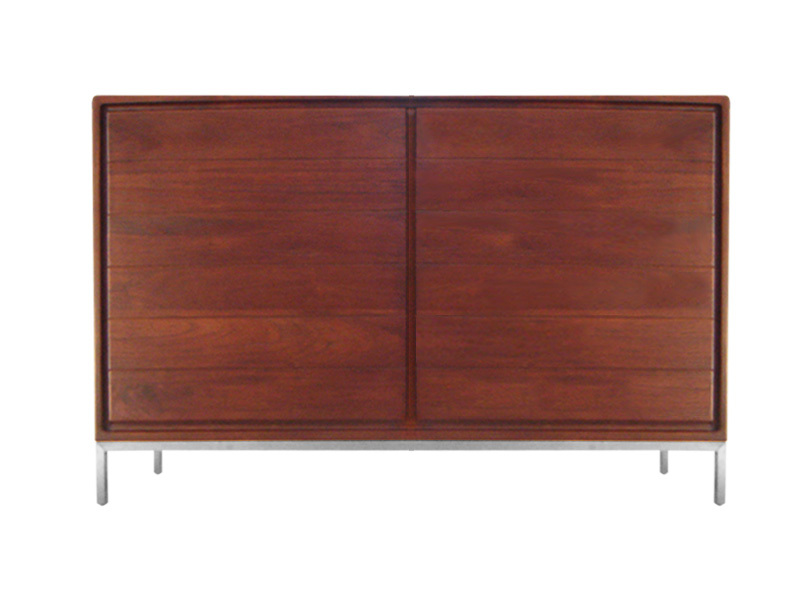 An anchor piece in any room. 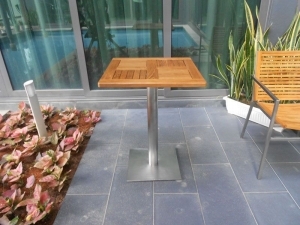 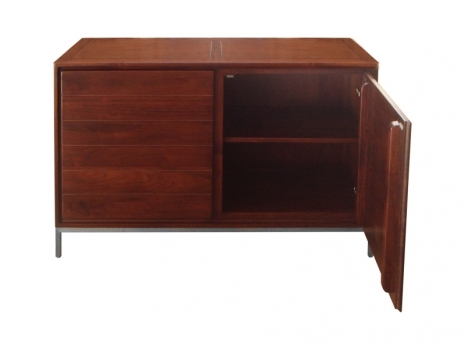 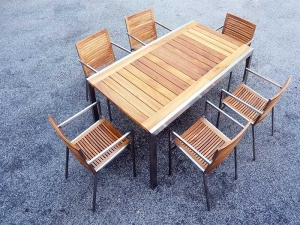 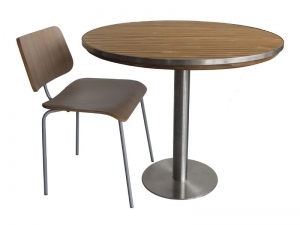 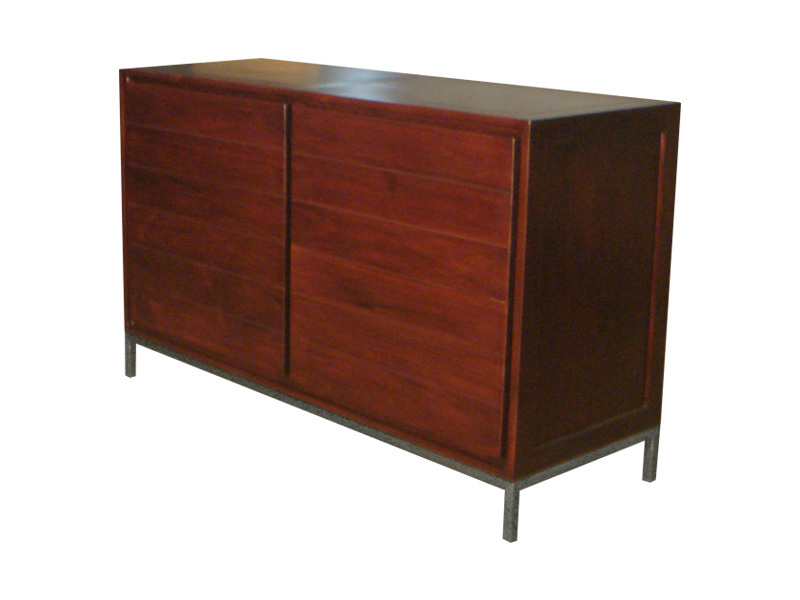 Expertly crafted from hand selected teak wood and stainless steel base. Ample storage space with 2 removable shelves.